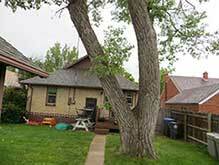 EnvisiaCare Services, LLC is an all inclusive Cheyenne tree service. Whether you need a tree removed, pruned, or would just like an opinion on a tree, we can help. 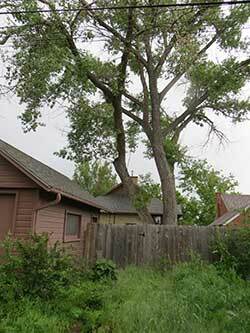 Your search for an arborist in the Cheyenne Wyoming area ends here. 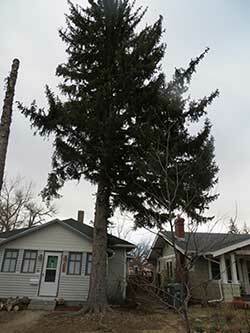 Generally we encourage most any tree that can grow in Cheyenne Wyoming since the climate can be so harsh, but sometimes there comes a time when a tree needs to be cut down. Oftentimes this is due to the tree suffering from an insect problem or disease. Other times the tree may be a hazard to the property or those residing therein. These are the tree removal and tree trimming cases in which we specialize. With proper technique, equipment, and training, trees can be safely removed from near houses, power lines, fences and other precarious locations. Many times proper tree trimming is needed to keep you and the tree happy. We take great care to preserve the surrounding area where a tree is removed. 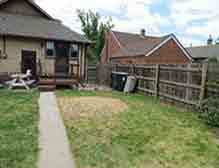 Bush, shrub, and hedge removal and trimming is also a service we provide. We offer free estimates on tree removal and tree pruning. The cost of tree removal, tree pruning, and tree cutting can vary from one tree to another. 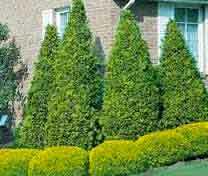 Factors such as size, type, location, complexity, and other factors will influence the price to remove or trim a tree. The same is true of stump removal or stump grinding. 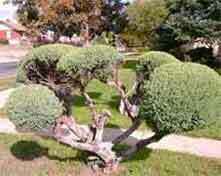 Proper pruning of trees, all throughout their life, helps them to grow and develop good shape and balance. Improper pruning can result in imbalance, poor shape, and can contribute to tree illness. Raising up the canopy, or trimming lower branches, can make trees easier to work around and provide a nice shady spot to relax during hot summer weather. Lightening up heavier branches can also help prevent branch breakage during heavy snow fall, wild Wyoming wind, and also helps to direct branch growth upward. Proper tree trimming makes trees smile and will also make your property look great. Shaping bushes and shrubs can be tricky work. Sometimes it takes an artistic eye to see the final product before it has been carved out of the block. 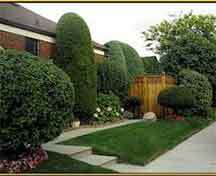 If left to their own devices shrubs, bushes, and hedges can grow out of control and even dwarf your whole house! Trimming them back properly allows better maneuverability and also results in less trapped garbage and tumbleweeds. Contact us to learn more about pricing and availability. Generally for bushes, shrubs, and hedges with repetitive growth there is a flat fee that is set during the first service. If done on a regular basis the charge will be the same for subsequent servicing.